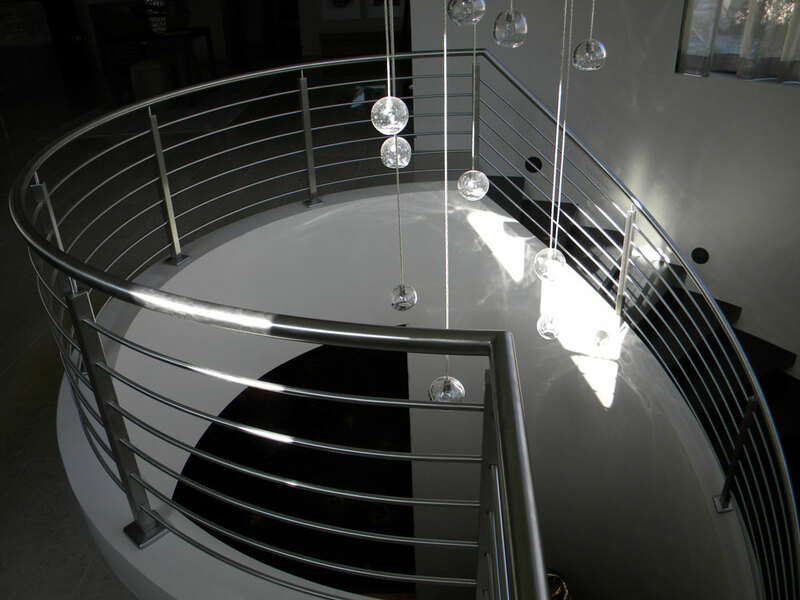 Private residence – radius stainless steel railing. 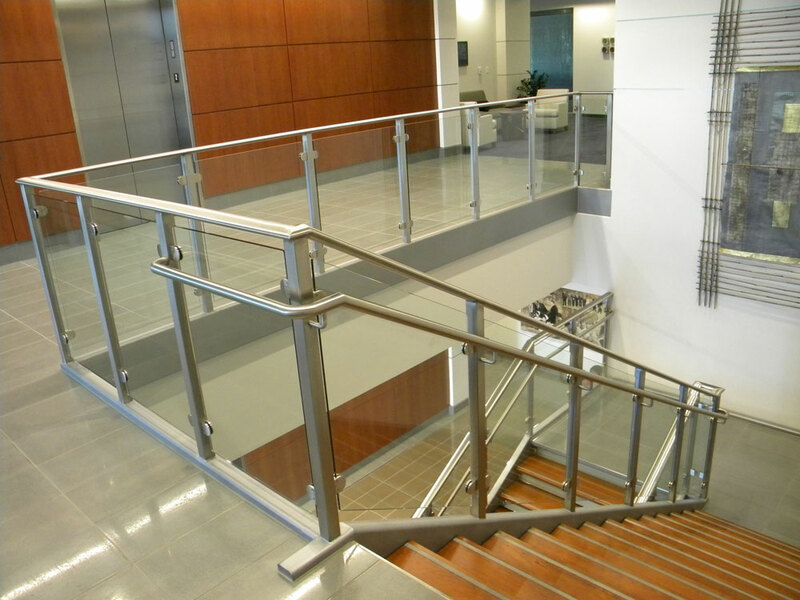 Delta Dental – Stainless steel railing. 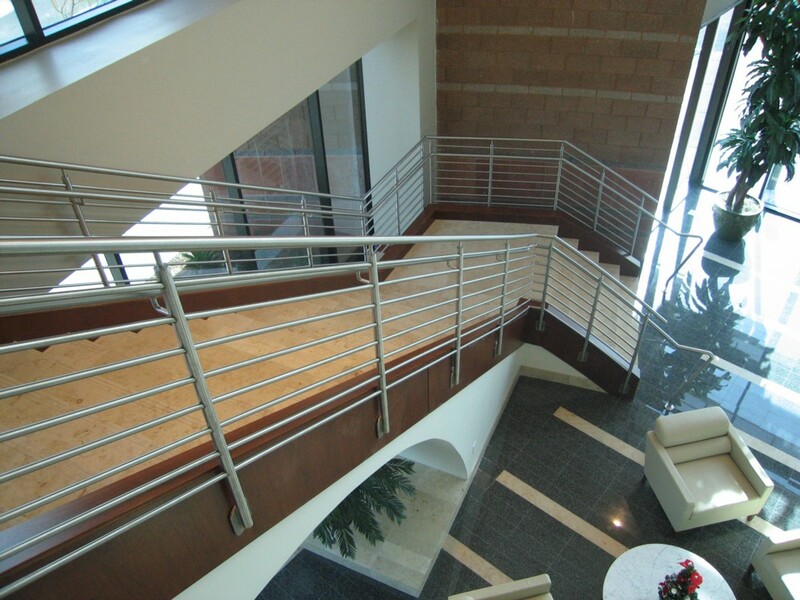 Haydon office building – stainless steel railing and trim. 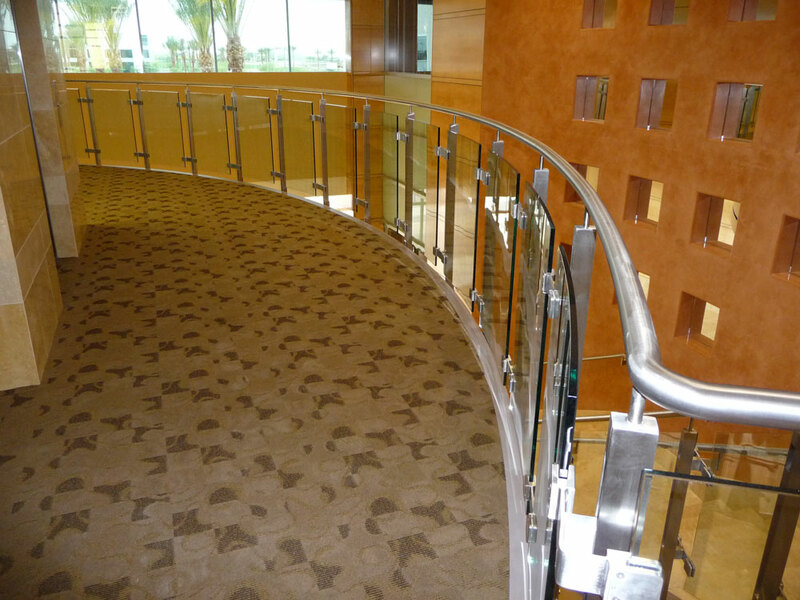 Banner Good Sam – stainless steel post, cap rail and handrail with rain glass. 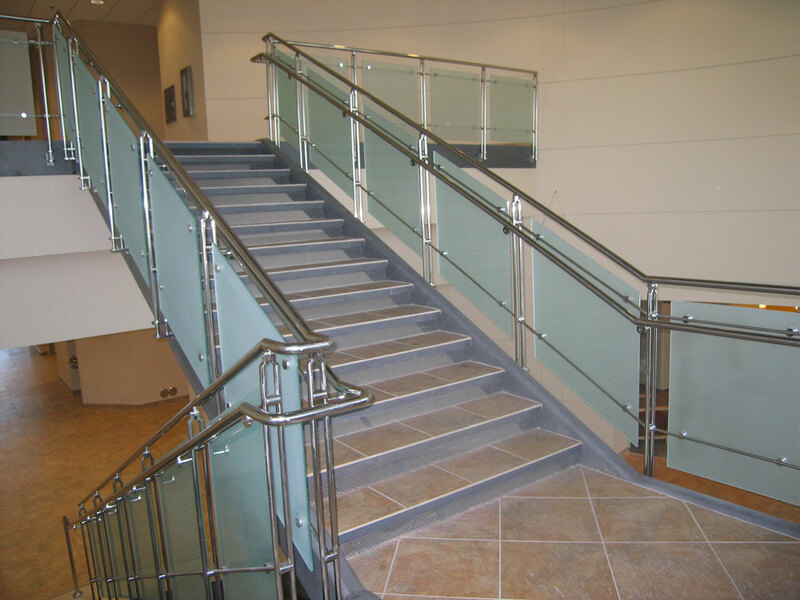 Continuim – glass with stainless steel post, cap rail and handrail. 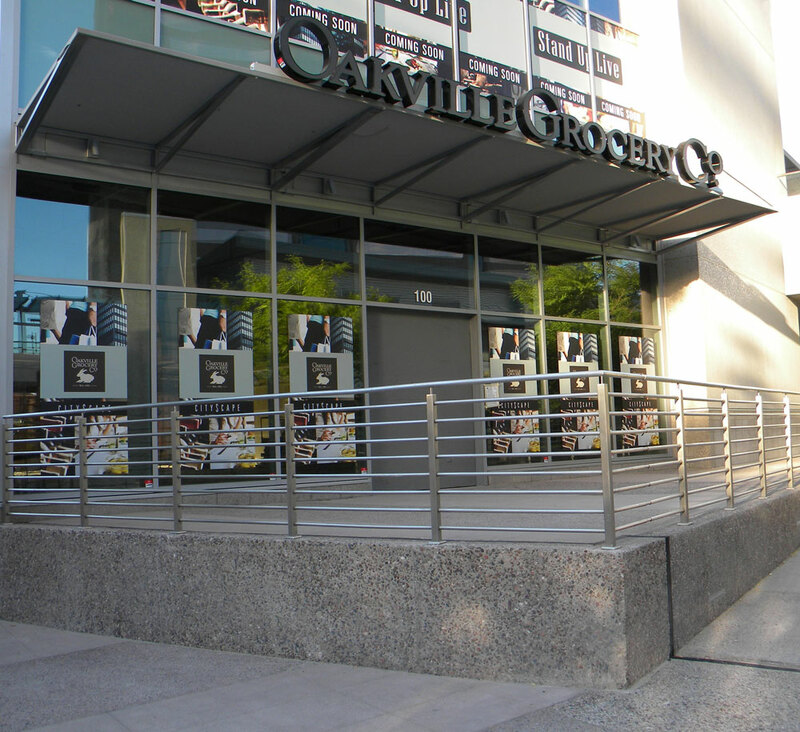 827 Grove – glass with stainless steel post and handrail. 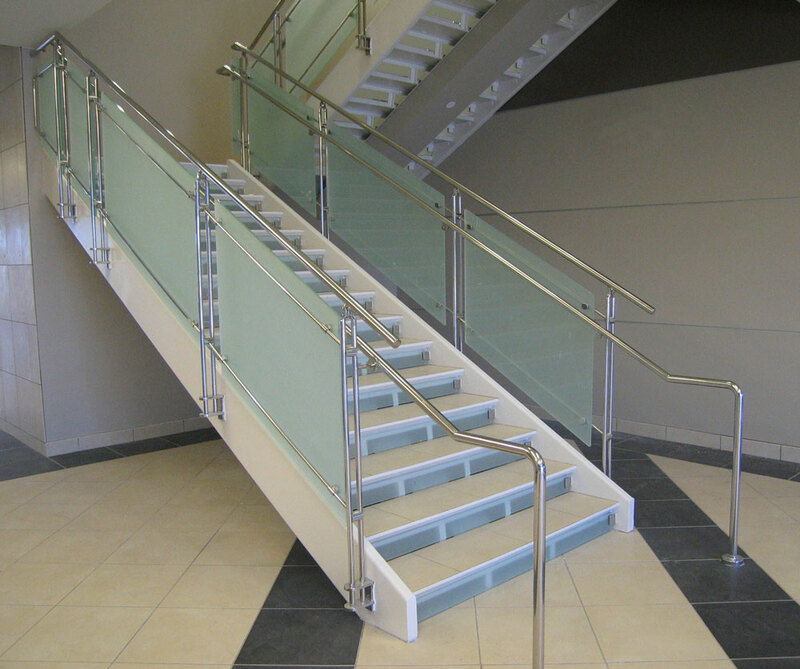 Amkor – glass with stainless steel post, cap rail and handrail. 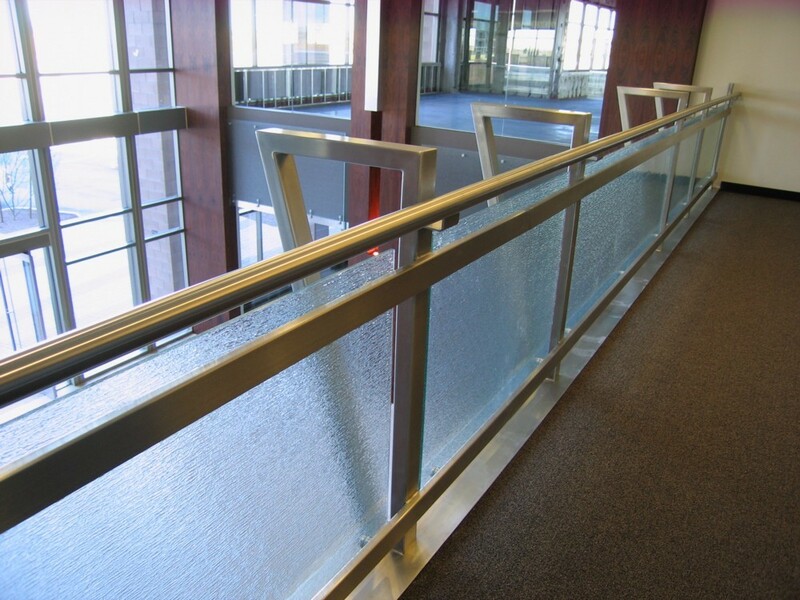 TASC – frosted glass with stainless steel post, cap rail and handrail. 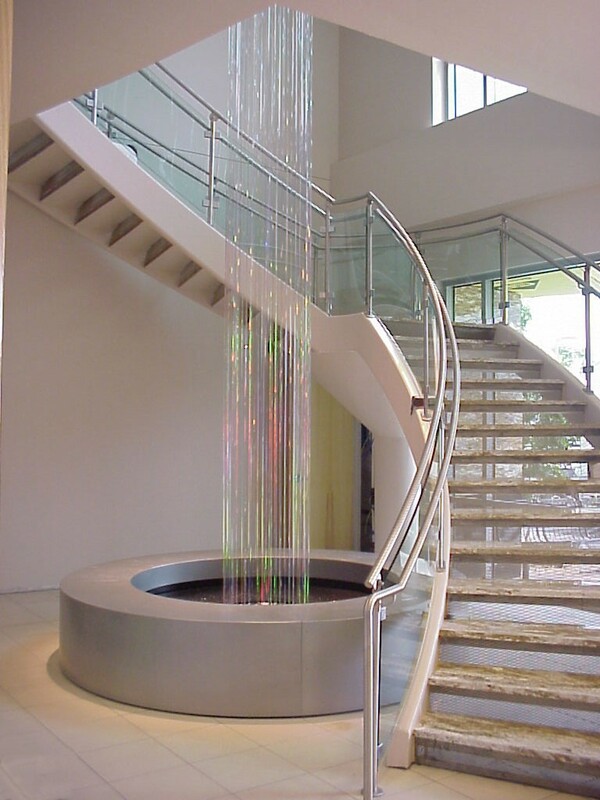 Oragami Owl – glass with stainless steel post and cap rail. 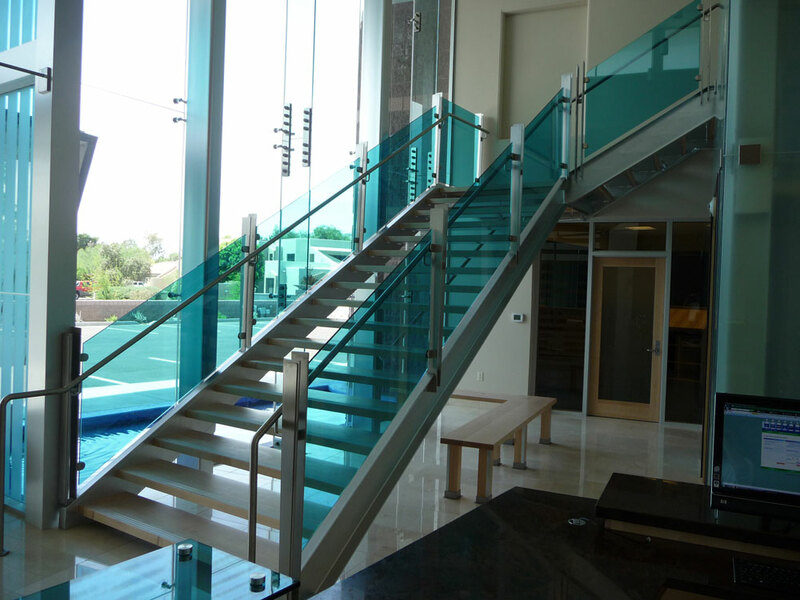 Elmalon – glass with stainless steel post and handrail. 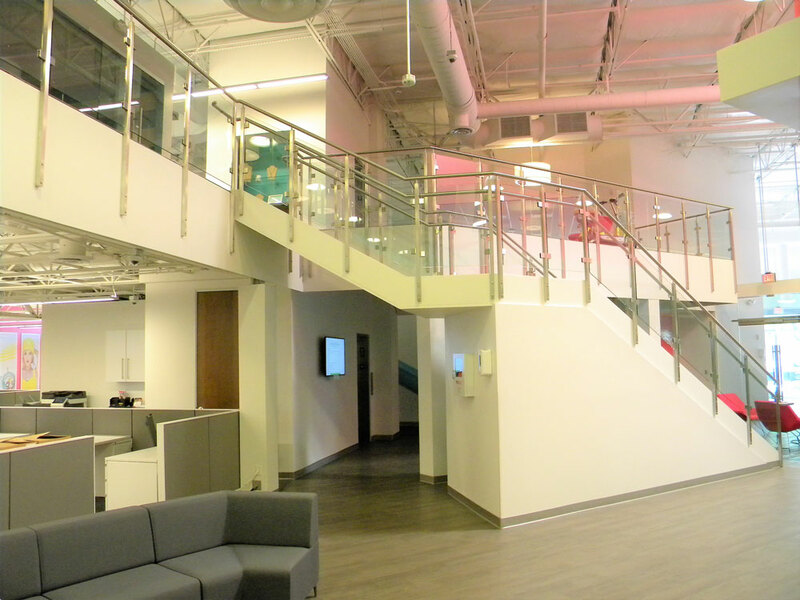 Ancona office Center – frosted glass with stainless steel post, cap rail, and handrail. 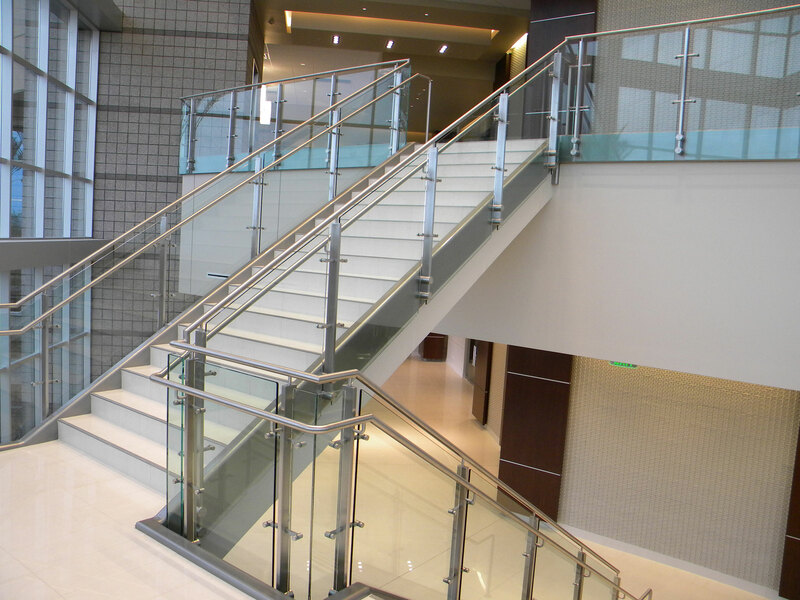 Edgewater – radius glass with stainless steel post and handrail. 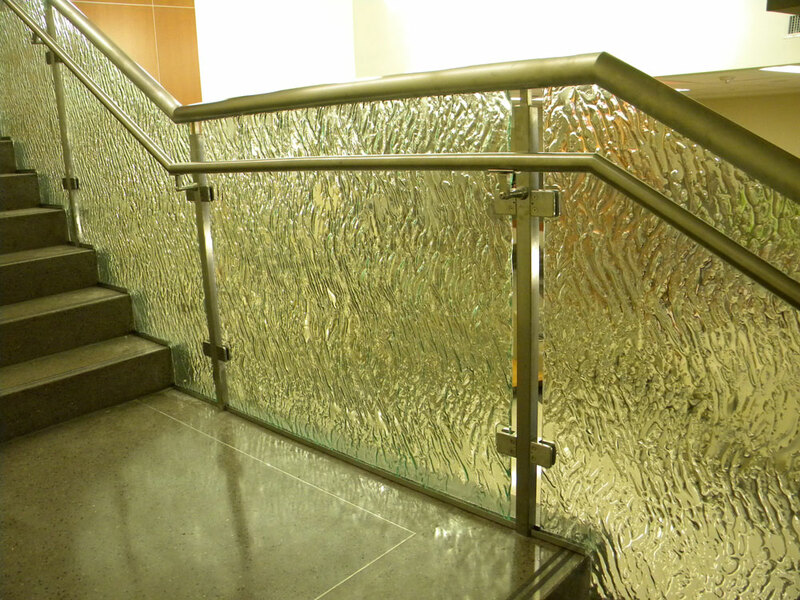 Chandler Echelon – textured glass with stainless steel post and handrail. 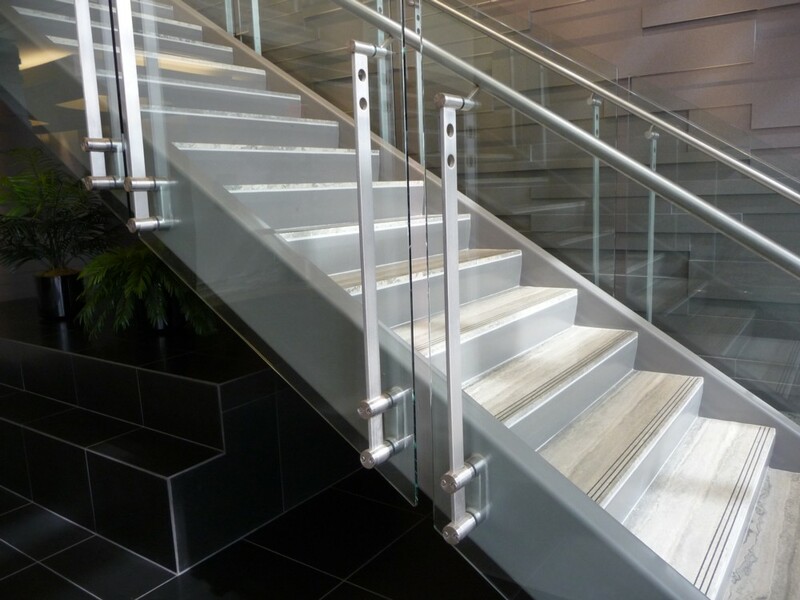 Allred building 3 – segmented glass with stainless steel post and radius cap rail. 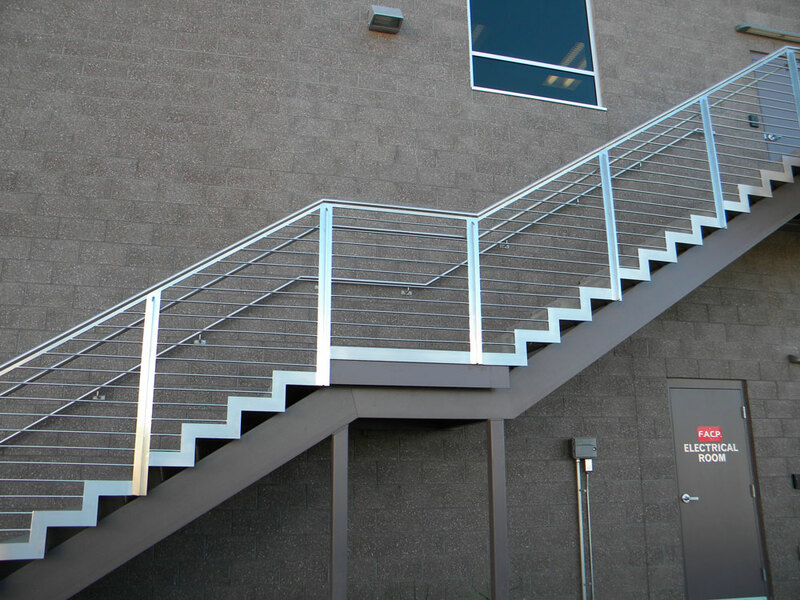 Arizona Heart – radius stainless steel railing. 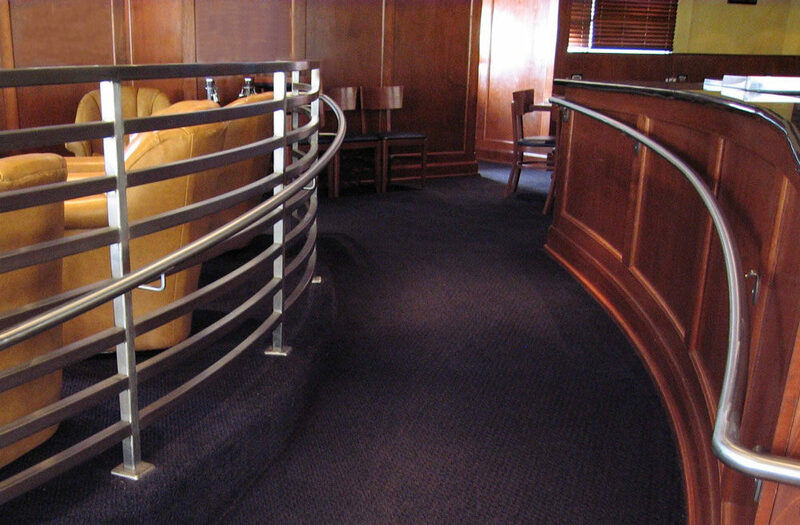 Fox Sport Grill – radius stainless steel railing. 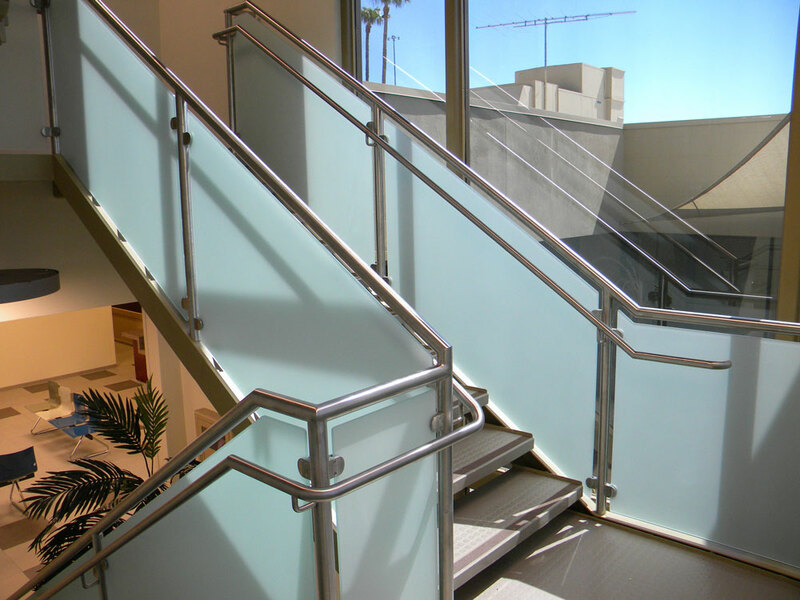 Ancona office Center – frosted glass with stainless steel post and handrail. 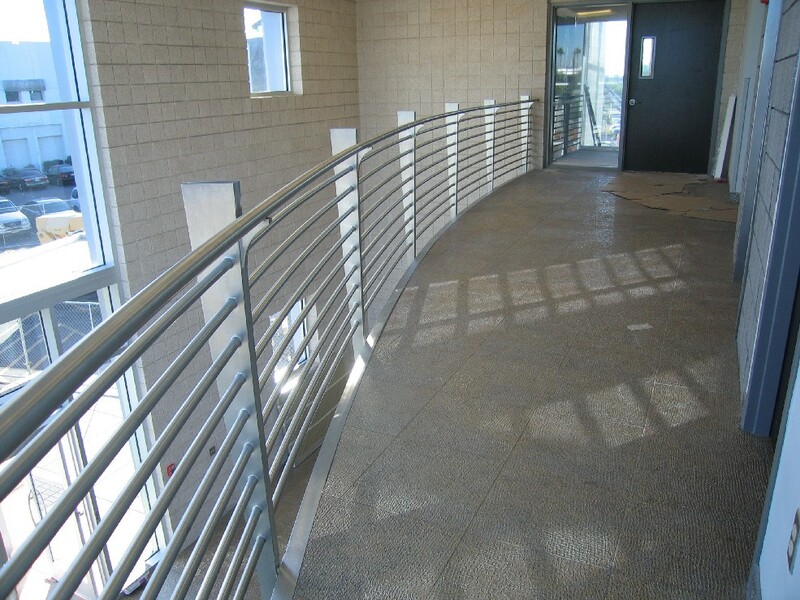 Charles Swab – radius stainless steel railing. 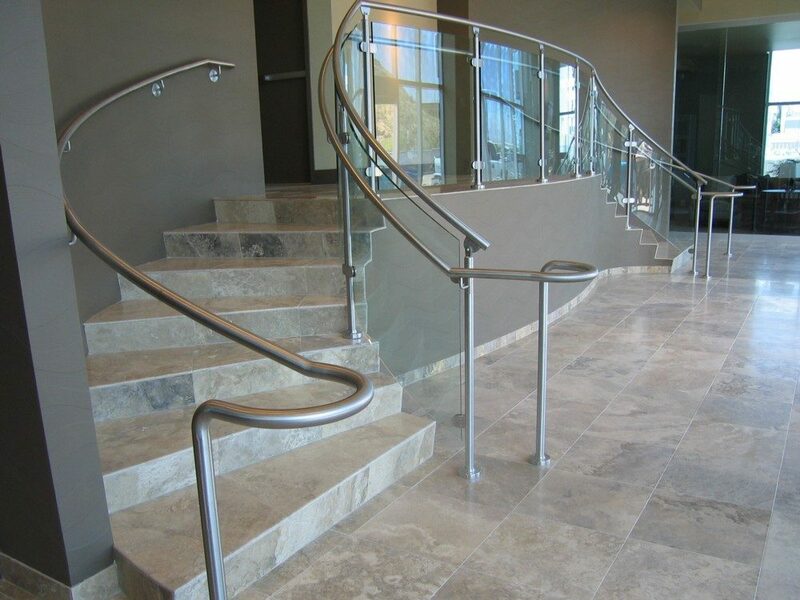 Continium – glass with stainless steel post, cap rail and handrail. 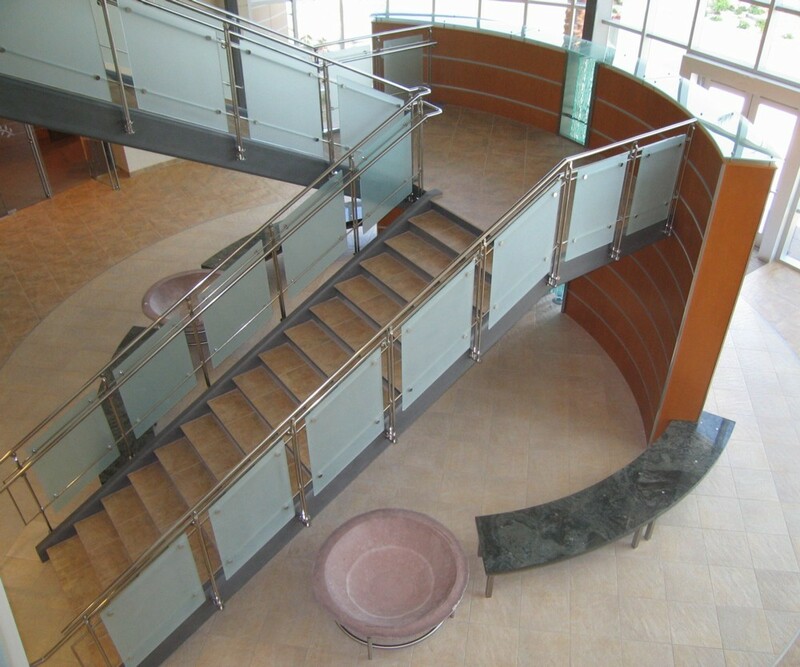 Clayton National Headquarters – tinted glass with stainless steel post and handrail. 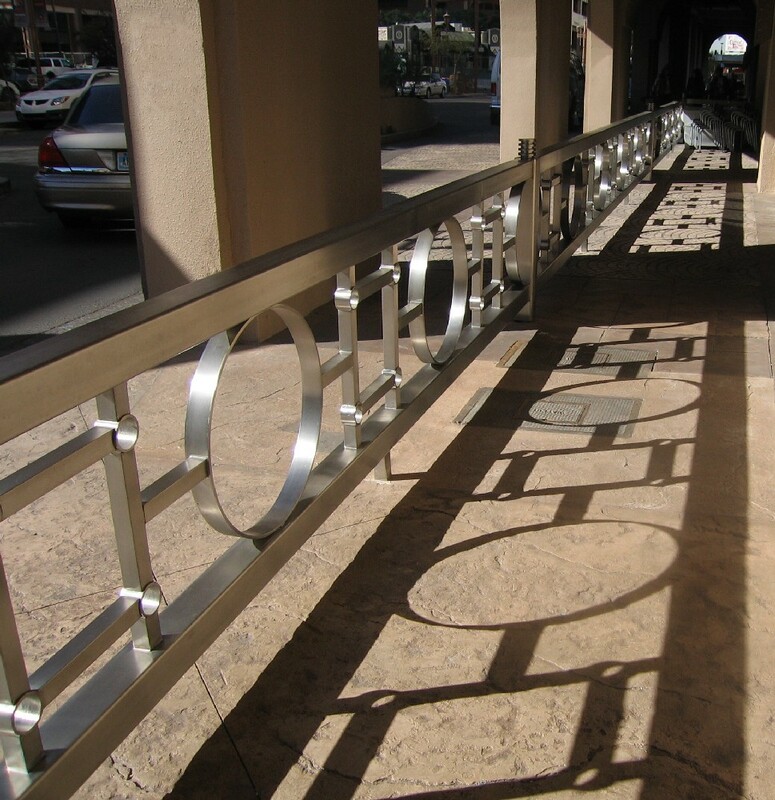 CityScape – stainless steel railing. Wyndham Phoenix – stainless steel. 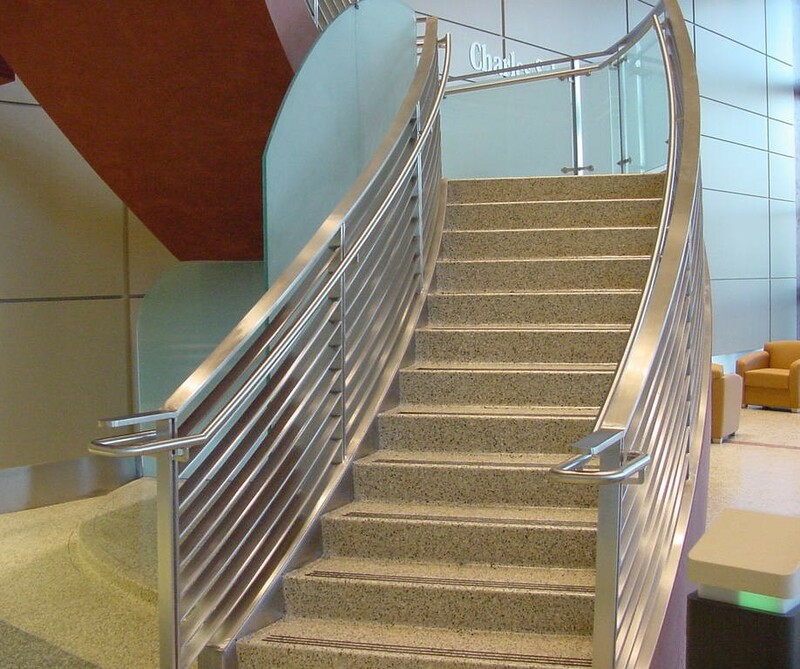 Board of Radiology – radius glass with stainless steel post, top cap, and handrail. 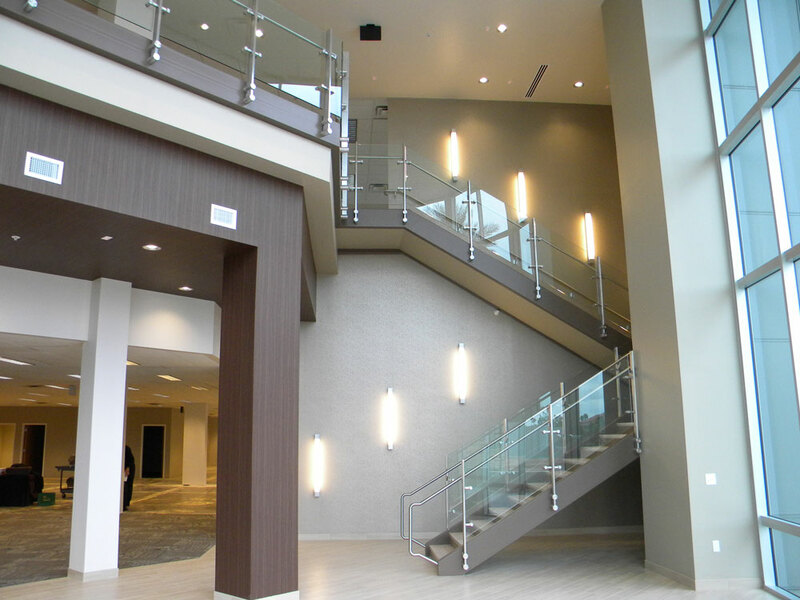 The material of choice for many of our commercial projects. 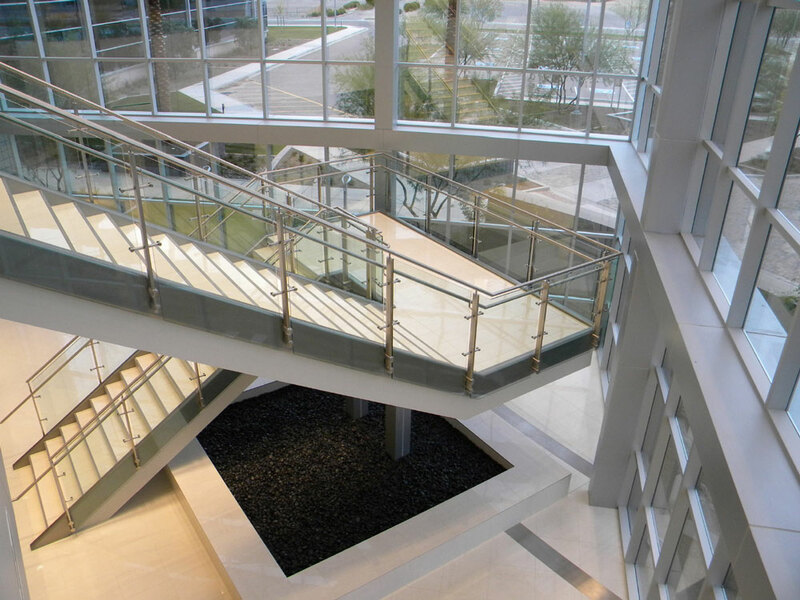 Low maintenance and high quality fit and finish.